Today we have a guest post from designer Mara Marzocchi! 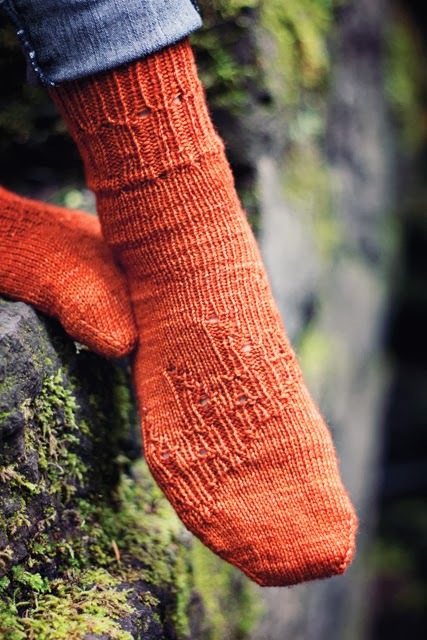 So it's my turn to talk about my contribution to Doomsday Knits (with thanks to Alex for giving me a soap box), the Survivor Socks. No matter what brand of apocalypse comes (hence the inclusion in the Miscellaneous Mayhem section), the folks who are left are going to have to crawl out of the wreckage of the old world and wander into the brave new tomorrow. And since it's likely that the modern conveniences of central heating and chemical footwarming packs will become a thing of the past, socks are going to be a necessary part of that wandering. 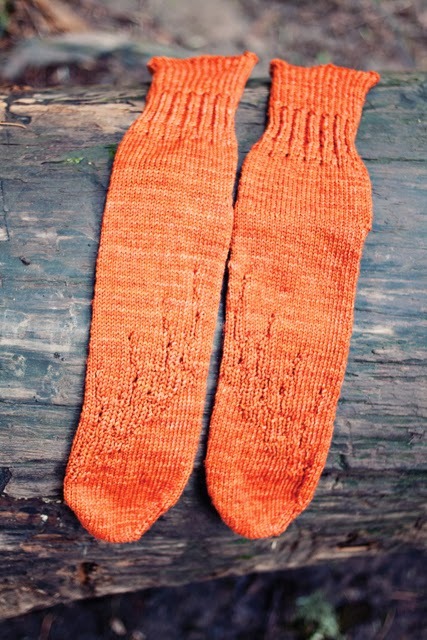 These socks, like the survivors themselves, show off their scars proudly. Are they caused by the grasping fingers of zombies or the snag of concertina wire as the wearer finds shelter? That's not for me to say. Either way, you can get the pattern as part of Doomsday Knits when it's out in December, but you can pre-order now! 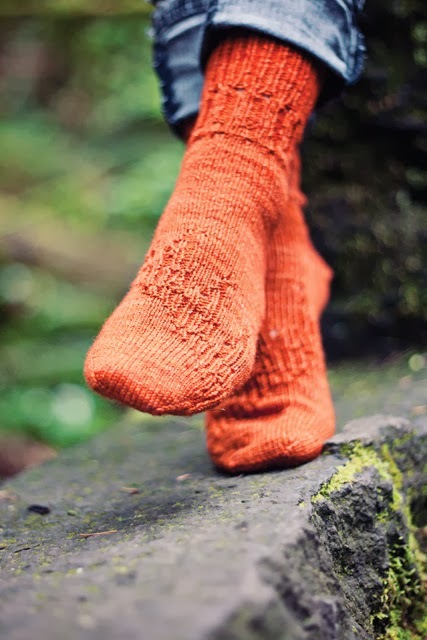 You can find Survivor on Ravelry here! Tomorrow, Alex is back with another pattern out of the Miscellaneous Mayhem (good no matter what flavor of doom you have! ), Suture.